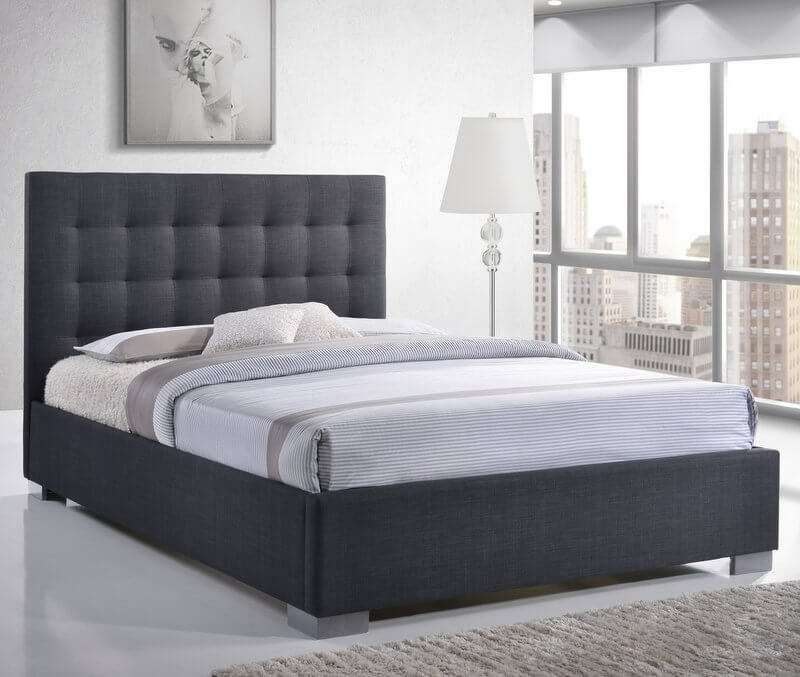 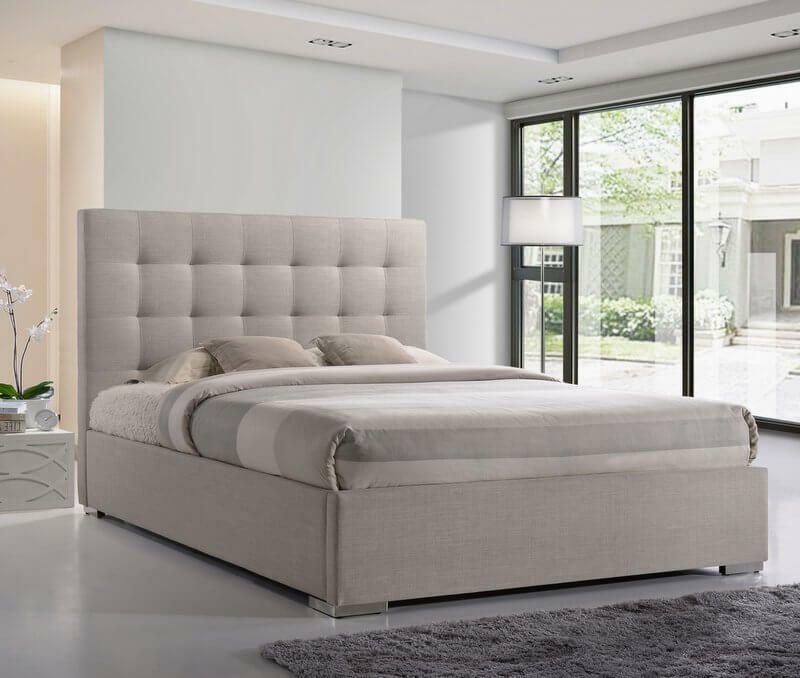 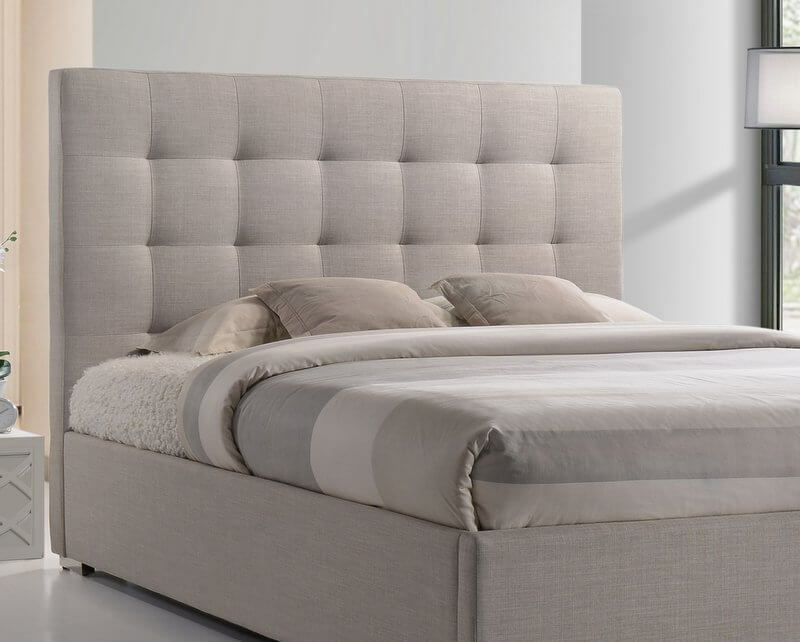 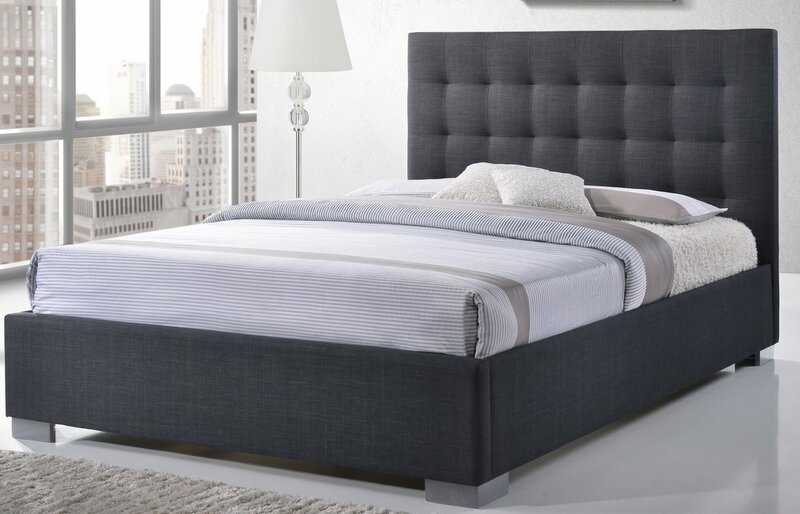 Comfortable padded button style high headboard. 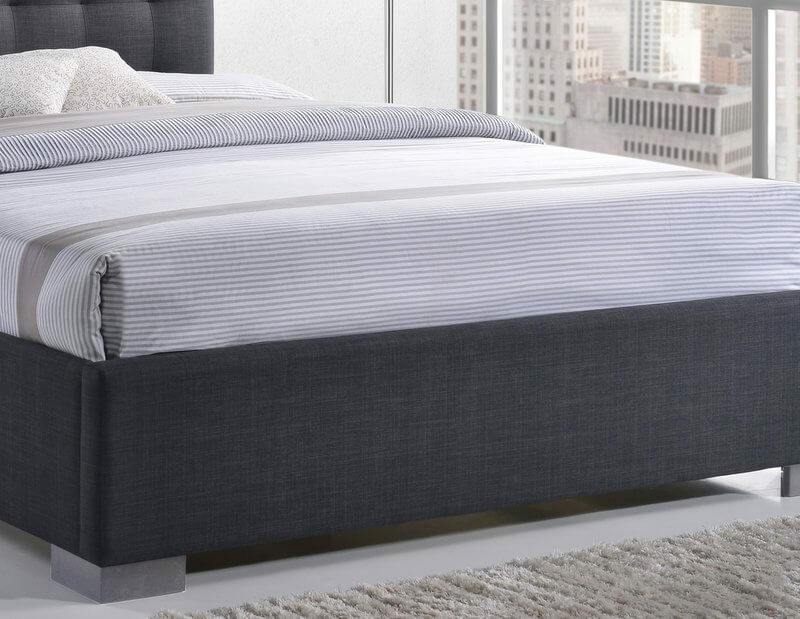 Great for sitting up whilst relaxing in bed. 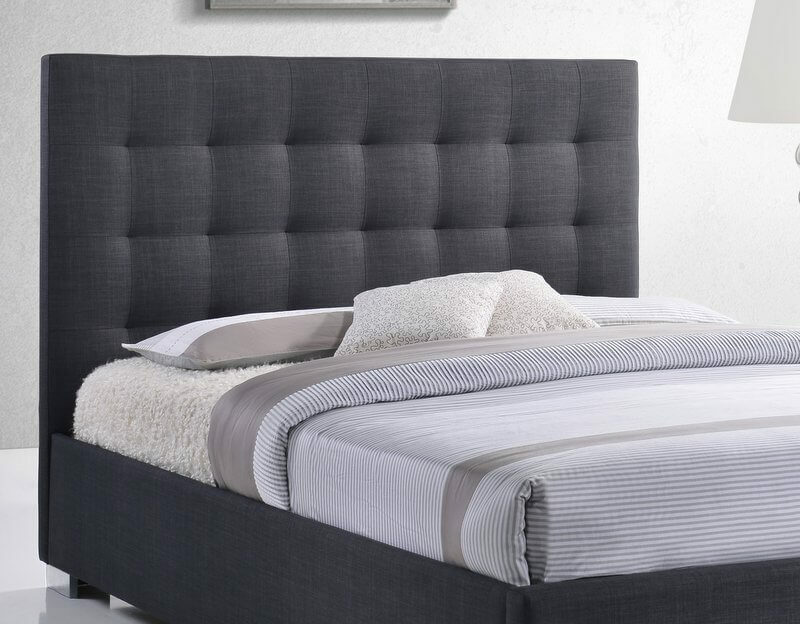 The low profile of the side rails and foot end are ideal for giving a sense of space in your bedroom. 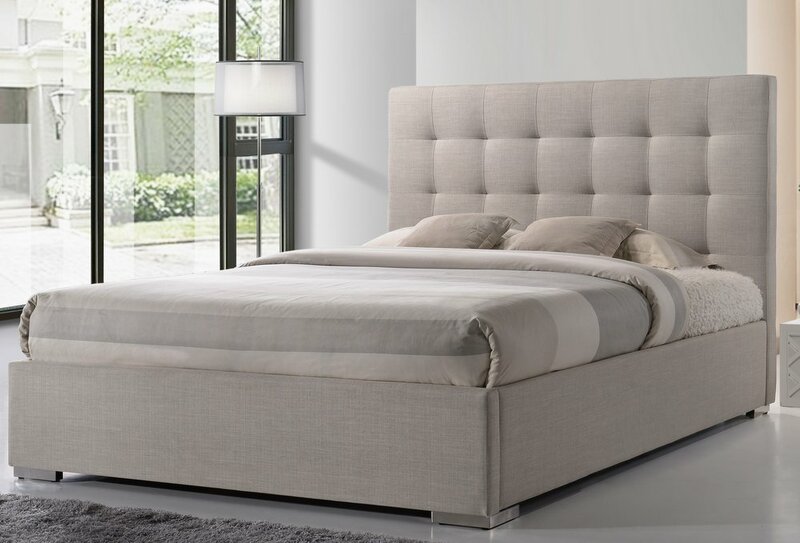 Available in chic grey or warm sand linen style fabric. 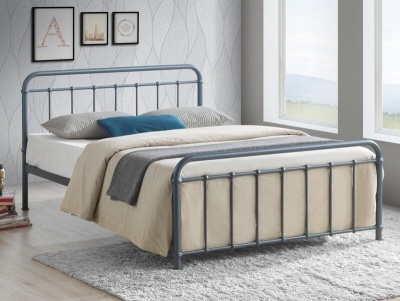 Beautifully finished with chrome effect corner feet. 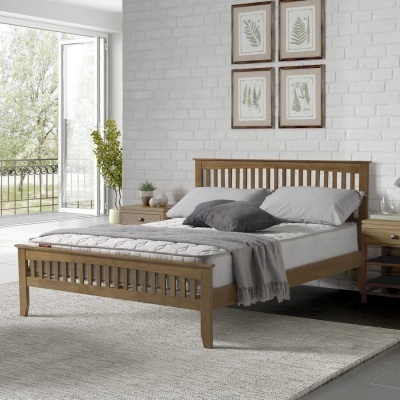 Robust build with centre support legs.